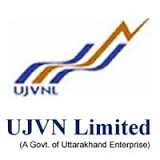 UJVNL Recruitment 2015 – 311 Assistant Engineer & Junior Engineer Posts:- Uttarakhand Jal Vidyut Nigam Limited (UJVNL) has published latest notification for filling up 311 posts of Assistant Engineer (Trainee) & Junior Engineer (Trainee). Eligible candidates may apply online from 01/07/2015 to 31/07/2015 (Extended to 17/08/2015). Age Limit as on 01/07/2015. 1. Assistant Engineer (Trainee): Degree in Electrical/ Electronics/ Mechanical/Civil Engineering from Recognized University/Institute. 2. Junior Engineer (Trainee): Diploma in Electrical/ Electronics/ Mechanical/Civil Engineering from Recognized University/Institute. Starting Date of Online Registration : 01/07/2015. Last Date of Online Registration: 31/07/2015 (Extended to 17/08/2015). Last Date for receiving Hard Copy of Application alongwith self attested documents/ Application Fee at Pantnagar: 10/08/2015 (Extended to 27/08/2015). Application Procedure: Eligible candidates may apply online through the website http://www.ujvnl.com from 01/07/2015 to 31/07/2015 (Extended to 17/08/2015). After completion of online application, take a print-out of application, attach all relevant documents & Bank Draft and send by Speed/Registered post to Coordinator (Examination and Selection), G.B. Pant Agricultural University, Lambert’s Square Guest House, Pantnagar, Udham Singh Nagar – 263 145 on or before 10/08/2015 (Extended to 27/08/2015). Subscribe our free job alert mail for UJVNL Recruitment 2015.